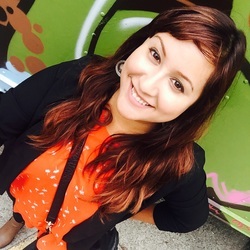 Ana Angel Avendano has over 12 years working in youth development in afterschool programs in the Bay Area focusing on leadership and civic engagement through the media arts. Ana has developed and taught filmmaking programs to underserved youth and it how she developed a passion for storytelling. A self-taught filmmaker, she believes digital media is an art form of self-expression and motivates students to feel empowered by their work. Ana views film and digital media as powerful tools for creating social awareness and positive change. Ana earned a BA in Ethnic Studies and Sociology from CSU, East Bay, and an MA in Mexican American Studies from SJ State and is currently working on her doctorate at USF in International and Multicultural Education. Ana is using her Bay Area Inspire Award to build a coalition of local, self-taught artists - such as videographers and photographers - to provide free or affordable services to small nonprofits. Read an interview with Ana: Community Spotlight "Enfoque"